Did you know that safety helmets are 80% effective in preventing injury and death? Or, that even a fall from a standing horse can be catastrophic? Most of us learn about statistics like these and the importance of wearing a helmet while riding from our doctor. But, not all doctors practice what they preach. Dr. Steve Peters, a clinical neuropsychologist, co-author of Evidence-Based Horsemanship and a NickerNews.net guest columnist, was one of these doctors, until recently. 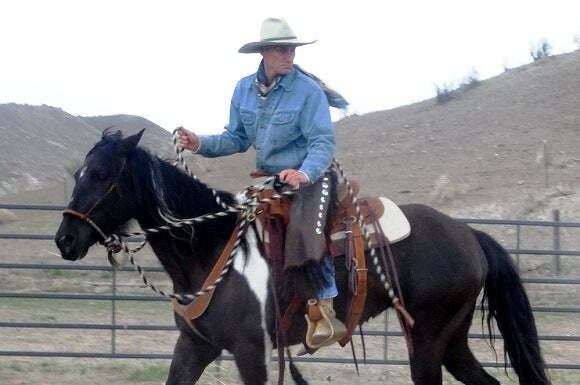 In the article below, Dr. Peters discusses his powerful decision to shed his cowboy hat for a new life of riding helmeted. I love my cowboy hats. 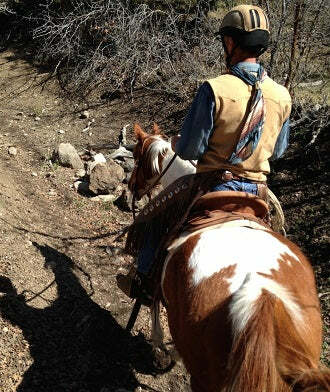 My tack is Western and Vaquero and I take great pride and joy in its quality and historical traditions. The cowboy hat was just the crowning glory for the whole look and feel of this way of riding. Was. I am also a clinical neuropsychologist. When I moved to Utah I began work at a sports medicine clinic, assessing sports concussions as well as seeing patients with traumatic brain injuries (TBI's). I am well-versed in the literature and knowledge surrounding brain injuries. Cognitive dissonance is a theory attributed to psychologist, Leon Festinger in the 1950’s. It’s the feeling of psychological discomfort that comes from holding two strong contradictory beliefs. Relief from this disharmony only comes from returning to a consistency in our inner belief system. Read about life-long learning and cognitive dissonance. I rode horses in my cowboy hat, just like all the cowboys I know and whose riding styles I tried to emulate. But they almost all had stories of being kicked in the head or sustaining concussions, many with lasting impact. It did not surprise me as it is my job to know that recurrent TBI’s can lead to chronic neuropsychological impairments. It is also scary to note that due to the unpredictability of horses, even the most experienced are prone to injury while handling or riding them. Then, I sustained my first horse-related concussion. I have started my own horses and put the first rides on neighbors’ horses. 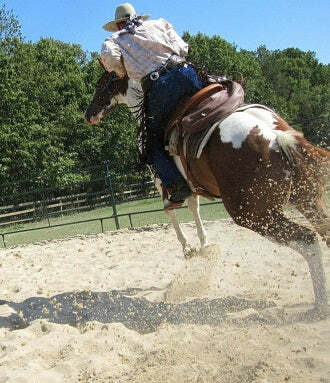 I have been bucked off more times than I’d like to admit but until last fall, I’ve avoided injury to my brain. Somehow, I had relied on ignoring or justifying my behaviors to avoid the conflict with reality and my true inner belief. What do you think of Dr. Peter's decision? Let us know in the comments below!